Do your lower-level windows put your home at risk for a break-in? According to data gathered by the Federal Bureau of Investigation, burglaries are declining. Still, based on the statistics of reported burglaries in 2012, an incident occurs once every 15 seconds in the United States. It’s important to evaluate whether your home is an attractive target to a potential burglar. If it is, you will want to take proactive steps to reduce the chances of a break-in on your property. A robbery occurs when a person uses violence or the threat of violence to take an item that belongs to another person. A burglary is defined differently. Burglaries are classified as unlawful entrance of a building or structure with the intent to commit a crime. The crime the burglars intend to commit may not be theft, and they do not have to carry out their plan. Some burglaries are carried out on a whim, while others are the result of a carefully planned scheme. Burglars will comb neighborhoods looking for homes that display easy-entrance characteristics like an accessible or unlocked window or door. While basements only accounted for 4 percent of burglary entrance points in 2010, your goal is to cause that percentage to drop to zero for your home. First, make sure you trim all bushes in front of your basement windows. The burglar will have nowhere to hide if a bystander passes while they are in the process of breaking in. Second, remove all indoor furniture from underneath basement windows. Don’t make it easier for the burglar to pass through the window safely to the ground floor of your basement. Third install a window well cover over deep basement windows. Even though covers do not lock, due to fire safety reasons, they may deter a burglar from using the window as an entrance point. 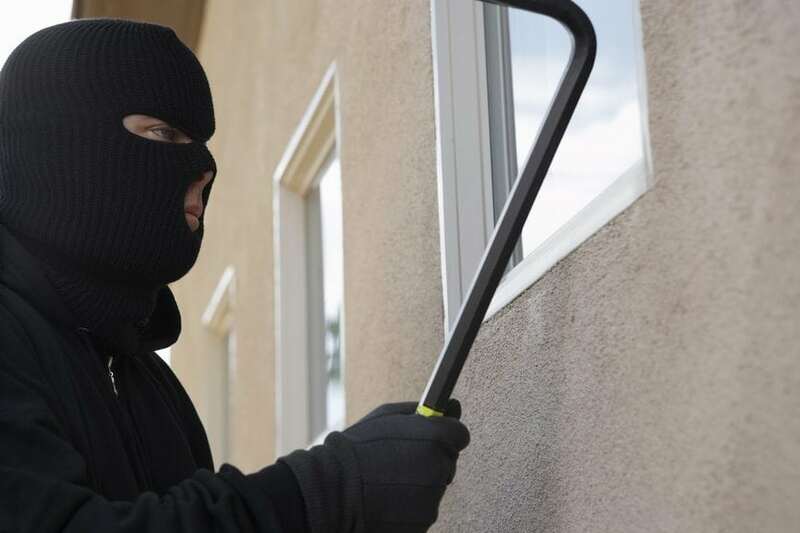 The burglar will not be able to see clearly into the basement, and they may hesitate to pick up and move a cover for fear of discovery.Additionally, burglars only spend between eight to 12 minutes in a home, and time spent on window well cover removal will slow them down and increase their chances of getting caught. Fourth, install a security system on your property. Burglaries are 2.7 times more likely to occur at properties with no alarm system. Prominently display system decals on windows and put a sign in your yard. Lastly, make sure your property is adequately lit at night. While almost 50 percent fewer burglaries happen at night, automatic lights in your yard, driveway, front and back of house could keep burglars away. To find the ideal window well cover to reduce your chances of a basement break-in, contact Windowell Expressions today for an evaluation and estimate. This entry was posted in Blog and tagged Window Well Clear Covers, Window Well Covers, Window Well Custom Grates, Window Well Foundation Liners, Window Well Liners, Window Well Protection, Window well security, Window Well Standard Grates on April 20, 2015 by admin. Can You Reduce The Risk of Window Well Injuries? Homeowners should always strive to reduce the risk of window well injuries on their property, as such incidents could cause serious harm to others and expose the homeowner to potential lawsuits. Various circumstances can help determine your level of risk and your options for mitigating it. How Deep Are Your Window Wells? The allowed depth of the window well is determined by the municipality’s building code. If the basement is finished and habitable, local laws will require egress windows to be deep enough for a person to evacuate in the event of a fire. A window this size usually must be installed in every bedroom. If the lower level has a walkout doorway, installed windows may not have to be constructed as deep, but some homeowners choose to insert larger windows anyway for better lighting. When windows are large enough to meet evacuation code standards, the window well’s depth can reach 3 feet. If a young child fell 3 feet or more into the hole, he or she could suffer head trauma, broken bones or worse. Even if an adult mistakenly slipped into a deep well, he or she might have to visit the emergency room for a cut, sprain or more serious injury. As a homeowner, when are you liable for accidental injuries on your property? First of all, it’s important to categorize the people on your property susceptible to injury. If you invite someone to come to your house, he or she is considered a licensee. For people you permit on your property, you bear the burden of warning them of potential injuries, or removing any injury threat. The second category of people allowed on your property is called business invitees. An example of a business invitee is a remodeling contractor or plumber. You have a stricter responsibility to business invitees on your property. You cannot just warn them of potential injurious hazards, you have a duty to repair the issue first. The third category of people is trespassers. Since they enter your property of their own volition and do not have your permission, you have zero liability if they experience an injury at your home. Of course, each state and local town may have its own restrictions on the definition of a trespasser. In some cases, once homeowners are aware a trespasser is present, they are required by law to inform him or her of any danger. How Can Homeowners Prevent Injuries? To err on the side of caution, homeowners should always take care to prevent window well injuries in all categories. The primary method of protection against falls is window well covers. Installing a custom-fit cover that adheres to fire safety regulations will ensure the safety of people outside and inside the window. Consult with Windowell Expressions on how to craft a customized window well cover for your basement windows. Homeowners can reduce the risk of window well injuries on their property when a fitted, secure cover is properly installed. This entry was posted in Blog and tagged Window Well Clear Covers, Window Well Covers, Window Well Custom Grates, Window Well Foundation Liners, Window Well Liners, Window Well Protection, Window Well Safety, Window Well Standard Grates on April 6, 2015 by admin.